A new Caribbean breakfast and brunch spot has opened its doors in the neighborhood. Located at 3311 W. Fullerton Ave. (between Kimball Ave. & Spaulding Ave.) in Logan Square, the newcomer is called Caribella. Caribella was formerly known as Cafe Bella. Hector Pena founded the original cafe in 2008 as a tribute to his daughter Isabella, but after 10 years in business and Pena's death, the family decided to start over with a new concept, the business wrote on its website. Caribella features an updated menu with all-day breakfast dishes and lunch items like sandwiches, salads and sides. 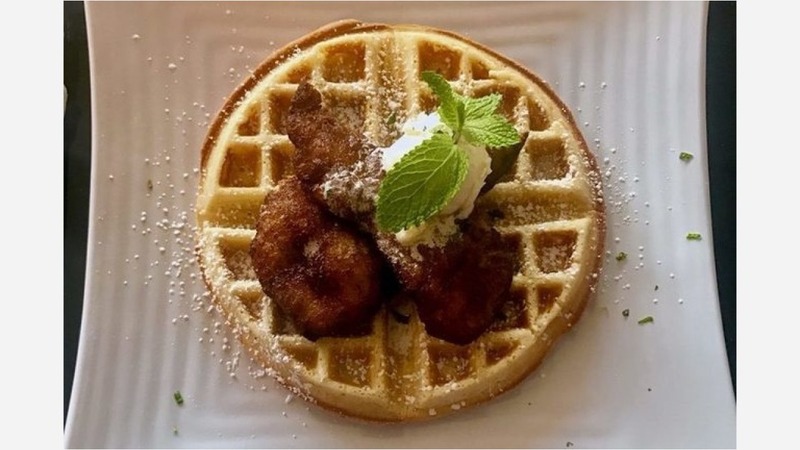 On the breakfast menu, expect to see offerings such as a plantain frittata topped with cheese, sour cream and chives; chicken and waffles; and French toast with coconut, vanilla and cinnamon topped with a splash of dark rum. With a 4.5-star rating out of 12 reviews on Yelp so far, Caribella has been warmly received by patrons. Susie X., who was among the first Yelpers to review the new spot on February 22nd, said, "Though I was sad that some of my old favorites were gone, the server told me management was the same, so I knew the food would be fresh and well-made like before." Yelper Daisy R. added, "First time trying this place, and it was great if you love bacon--Caribella has great bacon! Also, the coquito latte was great."